Following a quick check-in and a welcome shower we set off to explore, walking towards the bright lights via the City Pond. 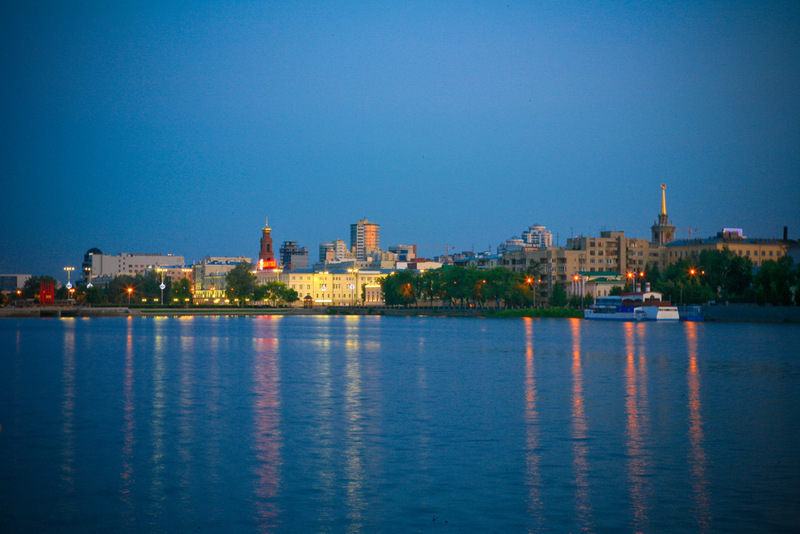 Yekaterinburg offers a stunning night skyline on all sides, particularly on an evening like this, still as bright as day at 11pm. We’d moved ahead of Moscow by two hours here, making us now five ahead of London. This gradual shortening of days can be quite disconcerting, particularly when the final jolt back would be with quite a bump once we landed back home from Beijing. 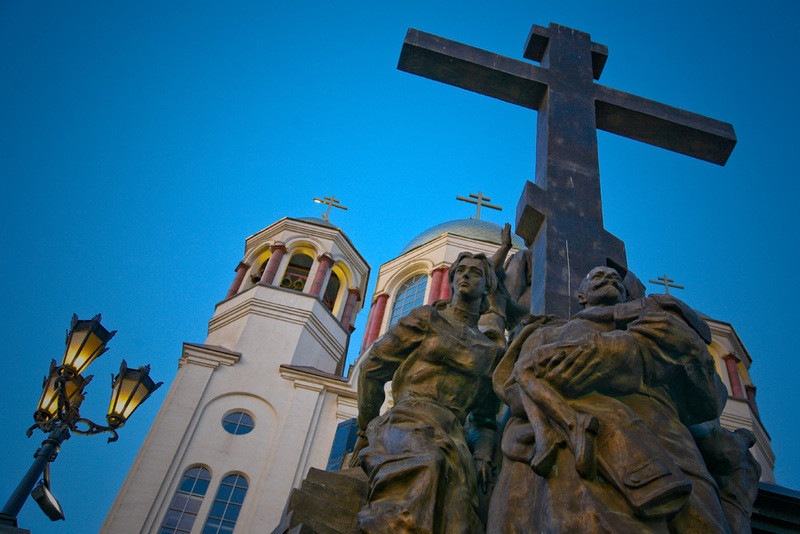 Yekaterinburg has quite a bloody history, although the safe, peaceful ambience it exudes now would never suggest so. It was, of course, the place where Tsar Nicholas II, his wife Alexandra, four daughters Olga, Tatyana, Maria, Anastasia and young haemophiliac son Alexey, were brutally murdered by the Bolsheviks in July 1918. On that once simple site now stands the magnificent Cathedral of the Blood in Honour of All the Saints Radiating in the Land of Russia, to give it its full, official title. Completed in the early part of this century, the opulent, white exterior with gleaming golden domes sits proudly yet quietly overlooking the city. Six years after the executions, Yekaterinburg was renamed Sverdlovsk, after Yakov Sverdlov, a leading Bolshevik and right hand man to Vladimir Ilych Lenin, until his death in the ’flu epidemic of 1919. 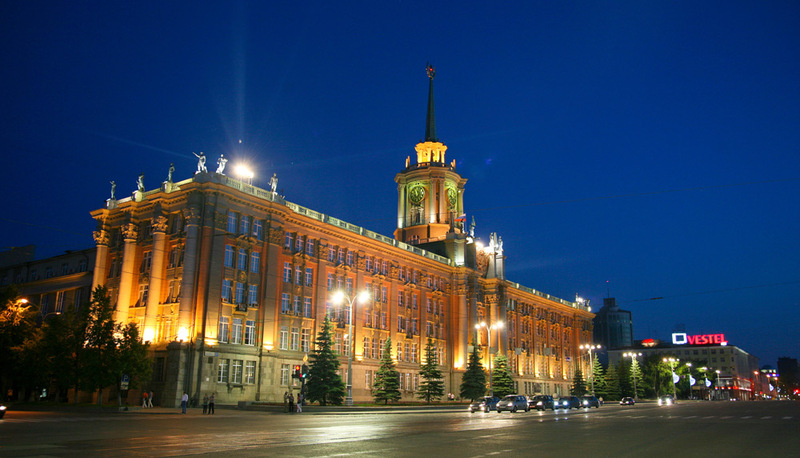 Although the city itself reverted to its original name in 1991 following the collapse of the Soviet Union, administration logistics dictate that the oblast still carries its Soviet name. 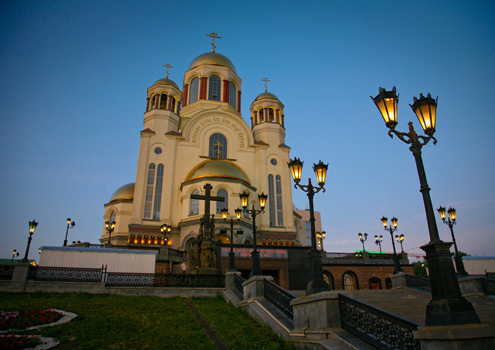 To add to its violent past, Yekaterinburg also played host to the high-profile Mafia killings of the 1990s. The question which is constantly on your lips on this journey is a simple one: are we in Siberia yet? 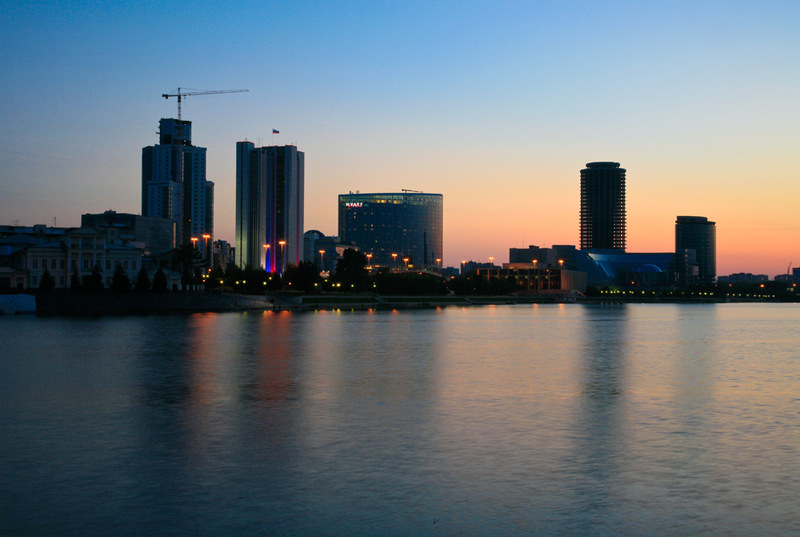 Yekaterinburg is the first Asian city in Russia, but not officially in Siberia, which actually begins 2012km from Moscow. 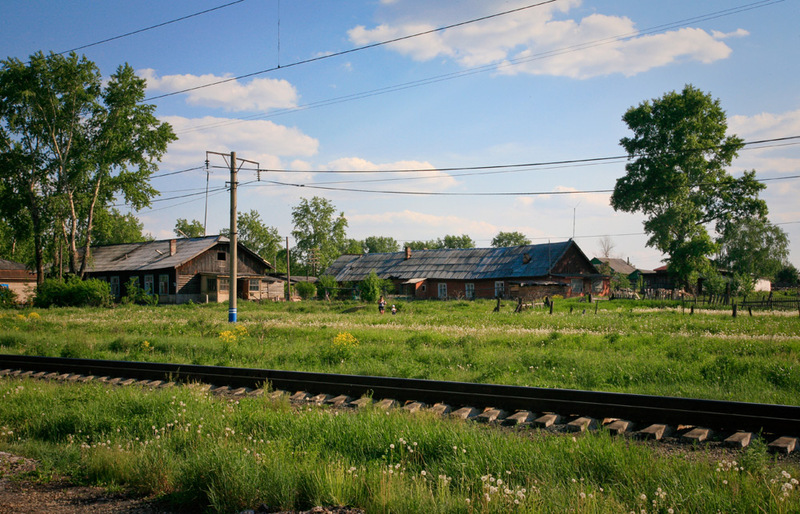 The oil rich settlement of Tyumen, just 36km east of Yekaterinburg, is the oldest Russian city in Siberia, but the train pauses here for a meagre fifteen minutes in the early hours of the morning. 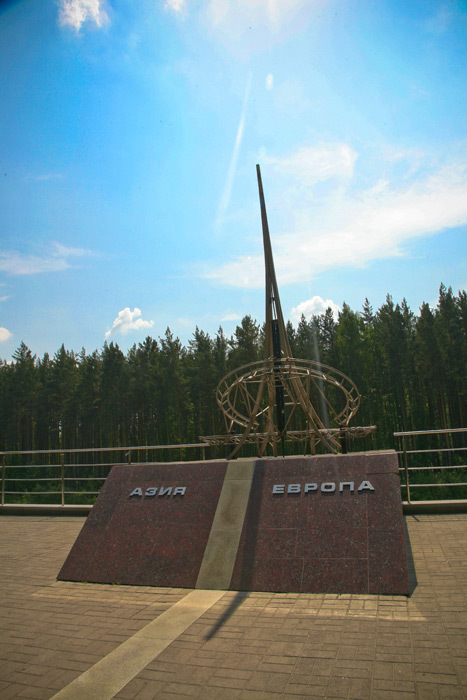 For me, one of the most important aspects of Yekaterinburg is its position, marking the border between Europe and Asia. On a trip to the east-west obelisk, our guide, Olga, presented us with a certificate stating that we had ‘bravely’ made the trip – it’s one of those things which you can proudly tick off your list, like taking the longest trolley bus ride in the world from Yalta to Simferopol in the Crimea; it’s an achievement. 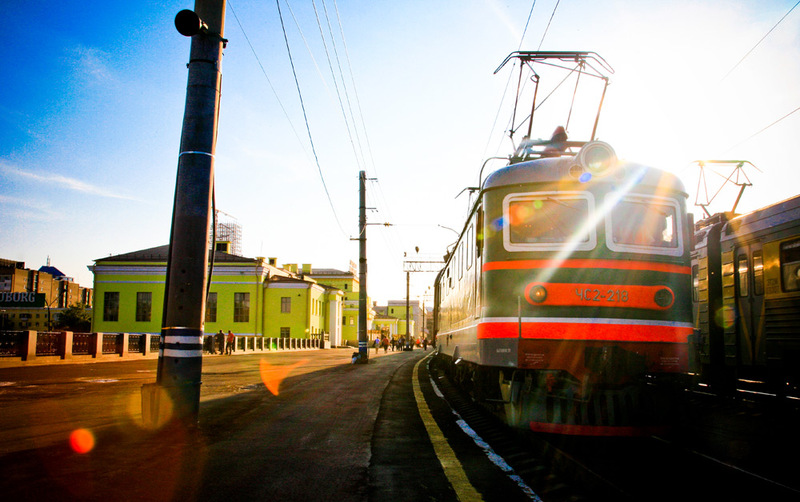 At around midnight Moscow time, we finally boarded the real Trans-Siberian Railway. Train 4, staffed mainly by a Chinese crew, chugged out of Yekaterinburg station in the quiet hours, taking us officially across Siberia to our next stop, Irkutsk, from where we would make the short trip to Listvyanka and Lake Baikal. At first impression, this much older train (with much older plumbing to match) seemed dark and austere. It was hot, we were bothered and just needed sleep. The following morning we enlisted the help of our guard to activate our ailing fan (there was no air-conditioning) and kick our power socket into life and we started to appreciate the finer points of this old, traditionally authentic rolling stock. How many times had these ancient carriages made their way across continents on these epic journeys from Moscow to Peking or Vladivostok, depending on your chosen route? The wood veneer finish on our first class deluxe cabin started to look very appealing. The restaurant car in which we enjoyed a delicious four-course lunch of borsch, Russian salads, steamed chicken and fruit was a delight to experience. This was it. Finally, the big one; all that remained, yet again, was to sit back and watch the vast openness of summertime Siberia drift by. 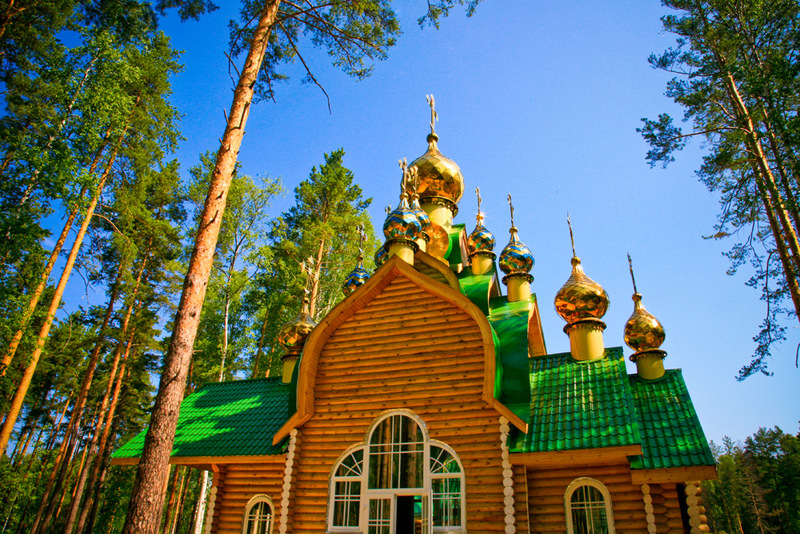 Applying for a Russian visa is now much more straight forward, although the cost is higher. UK visa applications are no longer handled by the Russian Embassy, but are now outsourced to a third party. There is a processing fee, but the service can now provide a next day or seven day return, depending on your requirements.